Inspired by women? Interested in cycling? Wanna hear inspiring female cyclists talk? 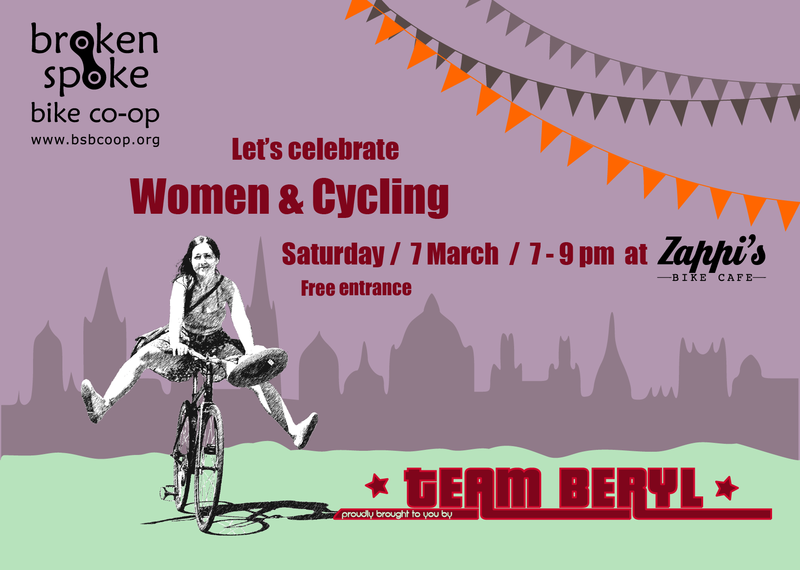 Then join Team Beryl at Zappi’s Cafe on Saturday 7th March from 7-9pm. We’re chuffed to be hosting three inspiring speakers telling us their awesome tales. All welcome and entrance is free! Purchase your drinks from the cafe from 7pm and doors will be closing at 7.30pm for the talks to start. Questions? Contact Team Beryl via email. The graphic is based on an adaptation of this photo.